St. Clare is always on the lookout for volunteers. People are always needed to help with events like Reach-out nights, Helping Hands food pantry prep, fundraising events and even helping with Faith Formation activities. How do you find out about these opportunities? 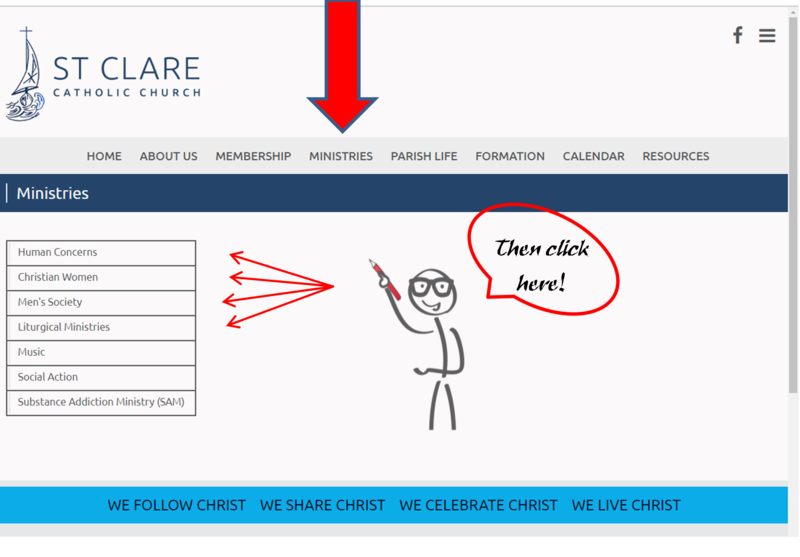 Check this website, read our bulletins, listen to the pulpit announcements or watch the video screen in the Narthex. If you are interested in connecting with a certain group, committee, or liturgy go to the Ministries tab on this website and locate the committee, group or ministry you are interested in. You can then find contact information to speak with someone who can help you.